I was invited last week to attend the student interaction of Michelin star Chef Alain Ducasse at Enderun Colleges. Chef Alain Ducasse currently holds a total of 21 Michelin stars and owns 24 restaurants in 9 countries, including Le Louis XV in Monte Carlo and Le Jules Verne at the Eiffel Tower in Paris. He has also appeared in Masterchef US Season 3 Episode 18, where he was a VVIP guest judge along with Chef Guy Savoy and Chef Daniel Boulud. Chef Ducasse is also the founder of Ducasse Education, which offers courses in culinary and pastry arts with an intense hands-on approach that emphasizes core skills-building and real-world practical application at any level. 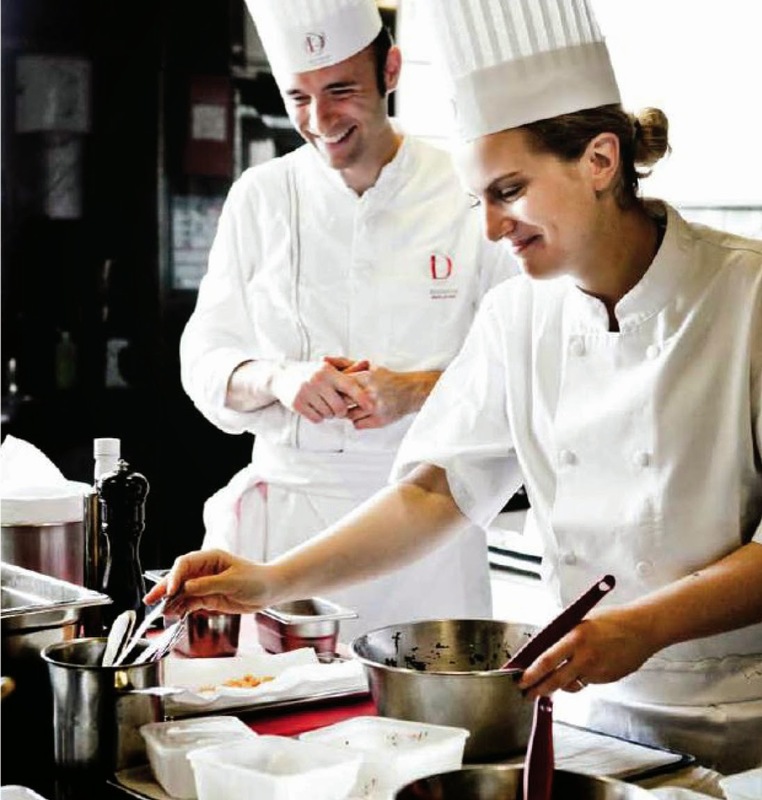 Ducasse Education is available at Enderun Colleges, the first Ducasse Institute outside of France. Through an interpreter, Chef Ducasse emphasized the value of passion and hard work to succeed in the culinary industry. In the Q&A portion, he revealed that he hopes that the Filipino cuisine take the global stage like French cuisine. His take on street food? Chef Ducasse says that it follows the same culinary rule as gourmet food, it's either good or bad. The event is also to launch the first Chef de Partie program in the country: the Diploma in Culinary Arts - Chef de Partie. This intensive program matches the curriculum taught in France. With 75% hands-on and 25% theory classes, the teaching methodology focuses on the rigorous hands-on practice in order to optimize skills acquisition. The program lasts for six months: three months in skills-building training + three months internship. The Chef de Partie program is specifically designed for Culinary Arts graduates and for professionals with 2 3 years culinary experience. Thanks to Nuffnang for inviting me to this event. Not being a biased commenter but Enderun is really one of the best schools here in Manila!